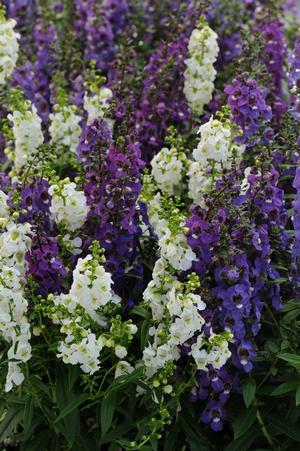 Angelonia Serena Mix produces dark purple and white blooms amidst the green upright foliage. Angelonia appears to be a delicate plant with dainty flowers, but it is tough! 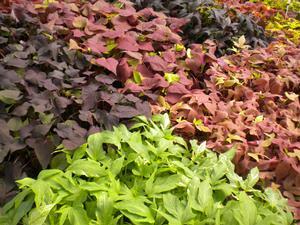 It has dense stems and grows in a compact upright habit. Angelonia produces many blossoms on its tall stems and is tough enough to handle the summer heat and near drought conditions. Tough never looked so sweet! Angelonia grows a multitude of delicate flowers maturing to 16-20” tall. It spreads to about 14” wide. Angelonia works very well along walkways, edges of beds and in any Spring or Summer container. 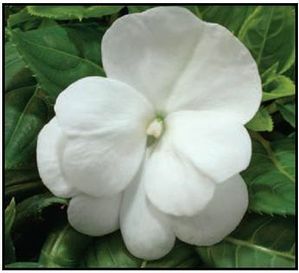 This sweet annual grows quickly and blooms continuously, so it’s always a favorite with landscapers!